This is where my husband and I went today. Wish you were there too! 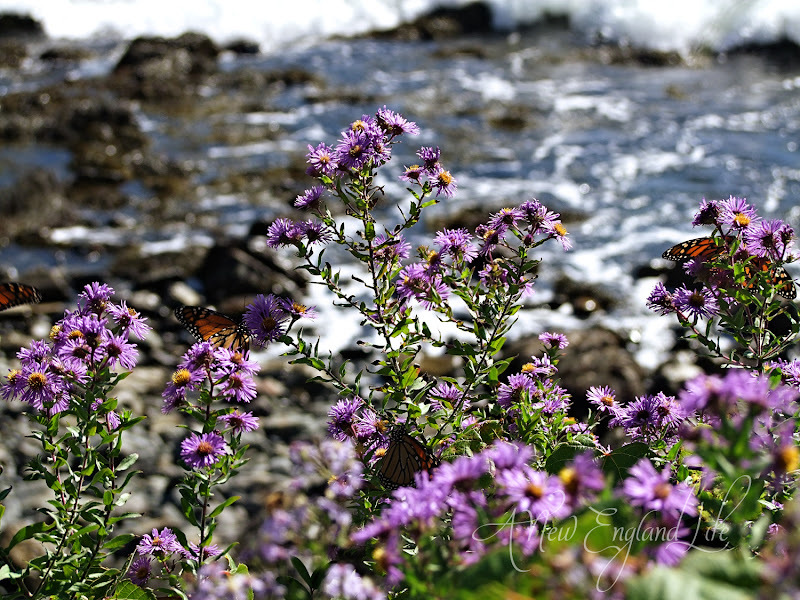 Many Monarch butterflies had gathered among the purple flowers. I couldn't help but wonder if they were gearing up for the big journey South. I hope so because it's awfully cold here tonight! If you look from left to right you'll actually see 4 Monarchs! Oh and the Dragonflies ... they were HUGE and everywhere! However, they refused to settle down and cooperate for a photo opp. I thought my husband might catch one for me because he's good at that kind of stuff, but he didn't. Thank you for sharing. 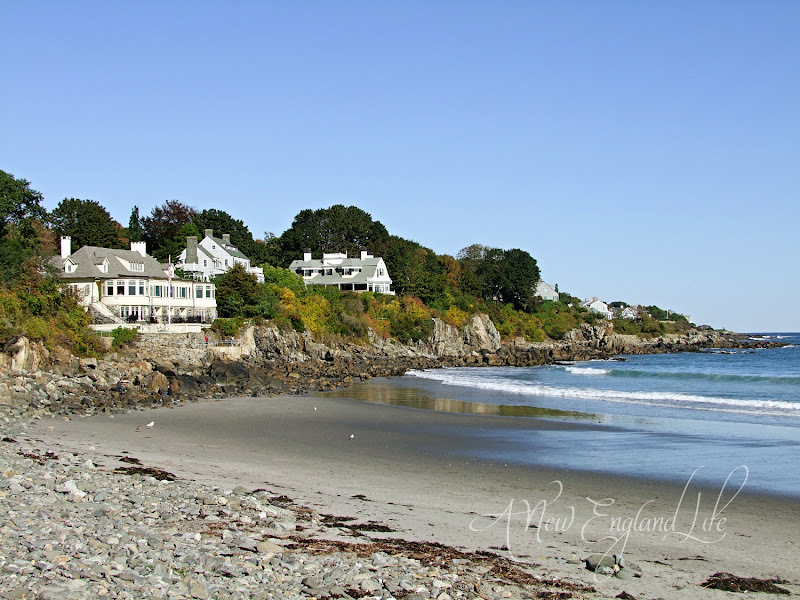 One of the nicest beaches in Maine. That entire area is just lovely. Soon it will be deserted. We loved t go in the winter and brave the cold. Chu always found something nice to sniff, a dead crab, an old lobster pot. Getting back into the warm car was always a treat,too. 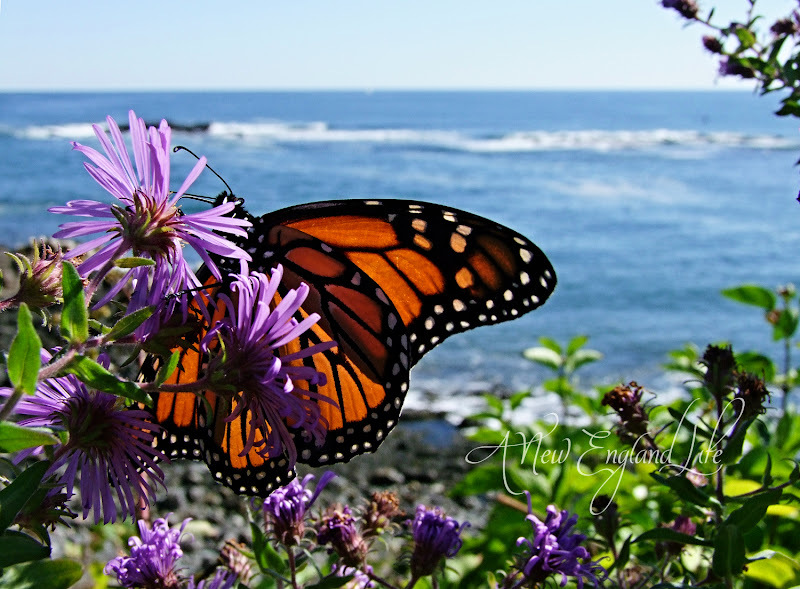 Oh, how I wish I was there...such gorgeous views and those Monarchs...your photos of them are strictly the best I've ever seen!!! Applause!!! So I should bring a jacket when I come up there? Yay for the cold weather! York Harbor is beautiful, loved the tour, thanks! Wow! These are fantastic. Wish I there. Oh my gosh, Sharon - that close up of the butterfly is one of your best ever! What a gorgeous day you had! 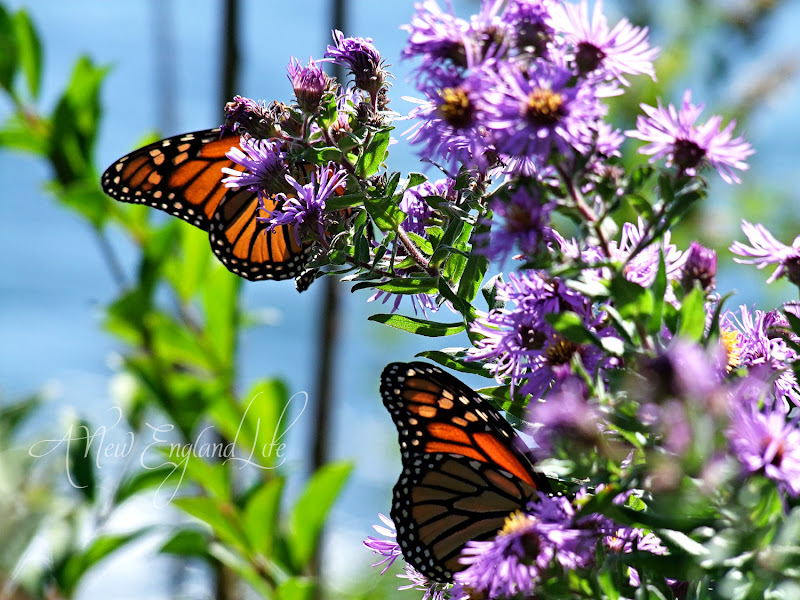 I have to agree with Laura, your photos of the monarchs are gorgeous! Lots of monarchs for October. We had a few until last Thursday, now we have had rain and cooler temps so no monarchs seem to be about. So very beautiful Sharon. I've not seen many Monarchs at all this year. What a treat it must have been to see so many! HI Sharon I am so glad to be back after our moving so I can come and see your beautiful photo's again. We have been without the internet for almost two weeks and that was hard. LOL. What a beautiful place you show us today. You must have had a wonderful time. I know exactly were you were! Nice Shootin'. I believe you live in the most beautiful part of the country. Those shots are stunning, Sharon! 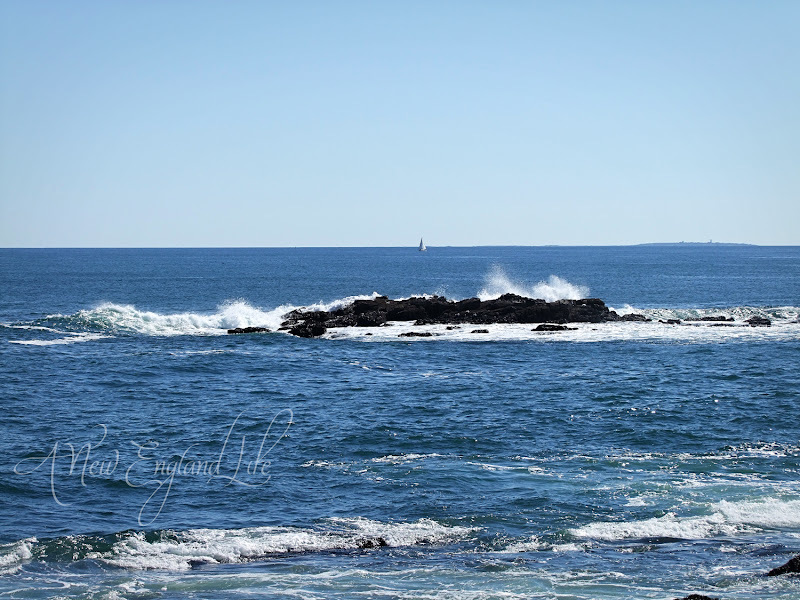 Thanks for sharing these beautiful photos and taking us along on your walk along the New England Coast, Sharon. I love doing this! You are so incredibly talented! Your pictures are breath-taking and I feel as though I am walking right along with you. My goodness, that certainly is a beautiful area. Your monarch pictures are out of this world gorgeous! Stunning!!! It is always such a pleasure to visit your blog. 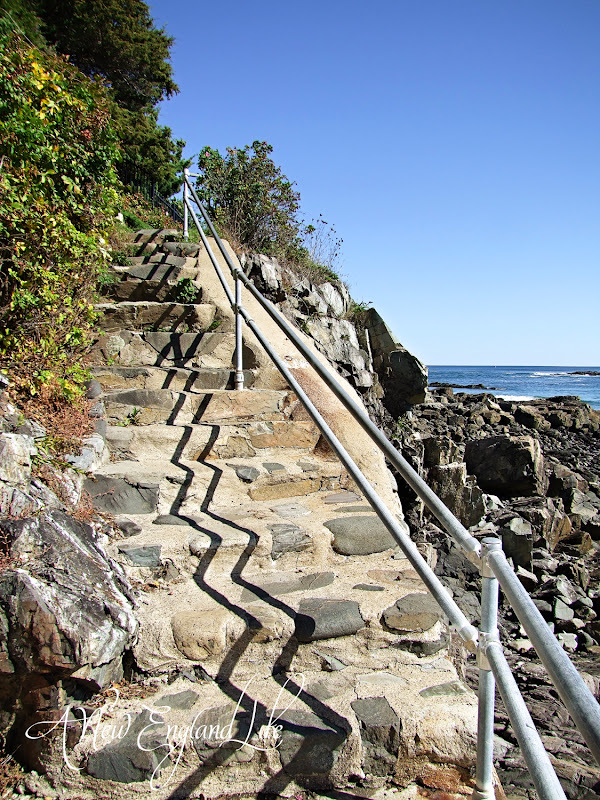 I'd like to sit on those stone steps with my face in the sun for a little while! Thanks for sharing your trip to a beautiful place. Oooooooing and awwwwwwwing very loudly and giving much applause! What a gorgeous place! Thanks for sharing! Just the thing to look at on a rainy Welsh day. How beautiful! thanks for sharing the gorgeous photos! Have I told you what an awesome photographer you are lately??? Just love the Yorks and especially your photos! Thanks! These photos are stunning. Thanks for taking me on your walk . Loved each one. 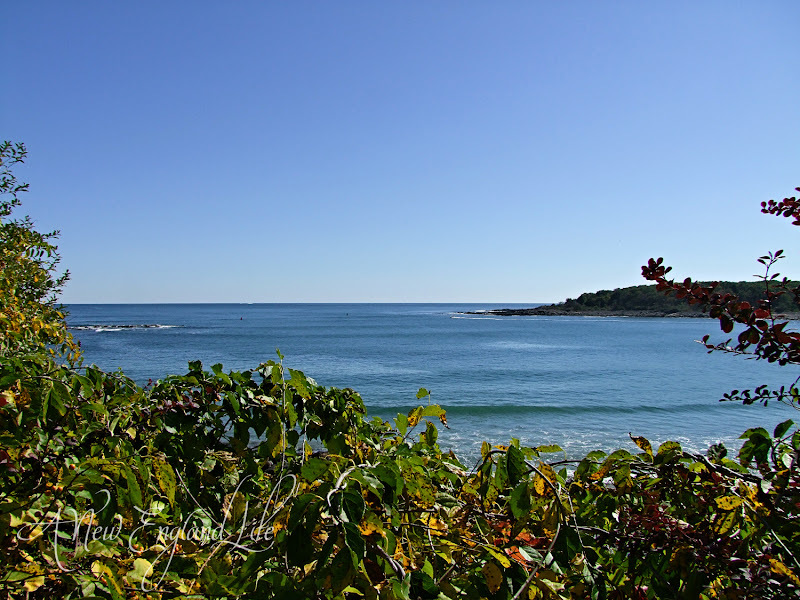 I lived in South Berwick maine just around the corner from york harbor. Thanks for what's probably my last glance of summer! Beautiful photos! Thanks Sharon, it was a lovely tour!! I saw all the monarchs too. you have no idea how much i would love to be there right now. it is a huge longing in my heart. if i were a wealthy woman~ this is where i would have a summer home. thank you for at least taking me there this morning. what gorgeous shots!! i do believe they are migranting because i've seen more of them in the last few days. i love to watch the flutters. You take seriously the most gorgeous pictures. I always feel uplifted after visiting your blog. That first photo of the monarchs made me gasp with delight! I love the way the light is coming through his wings, and the petals!! How do I love all of these photos? Let me count the ways! 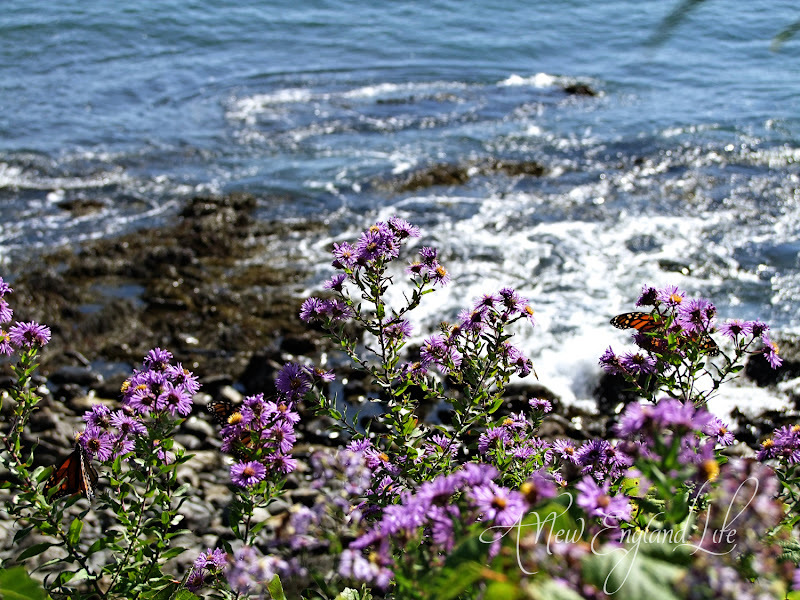 The one with the in-focus monarch with the ocean behind it is breathtaking...and yes, I wish I could have been there with you too!!!! Love your photos. How wonderful it must be to live somewhere so very beautiful! Thanks for sharing with us.